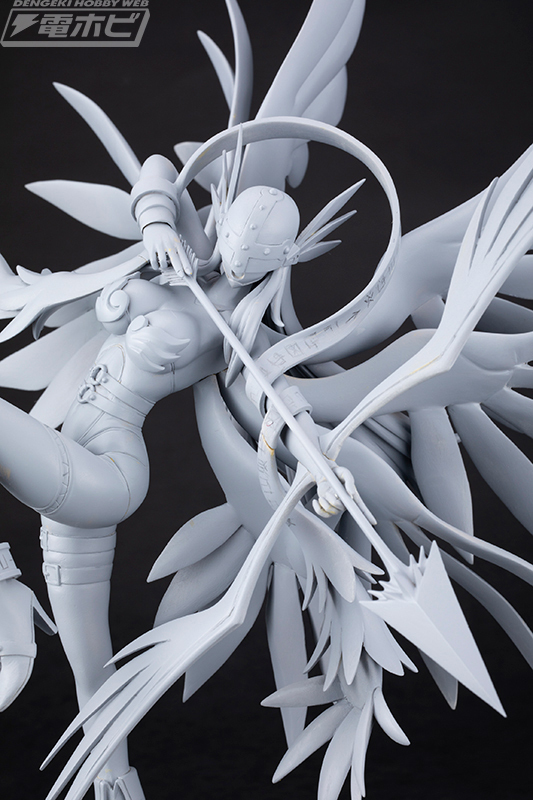 But we have new images and some details about the upcoming Digimon Adventure GEM Figure, Angewomon Holy Arrow Version! The figure is a bit over 10.6 inches tall. They are showing off photos taken of the prototype to show off the charm of the new figure. 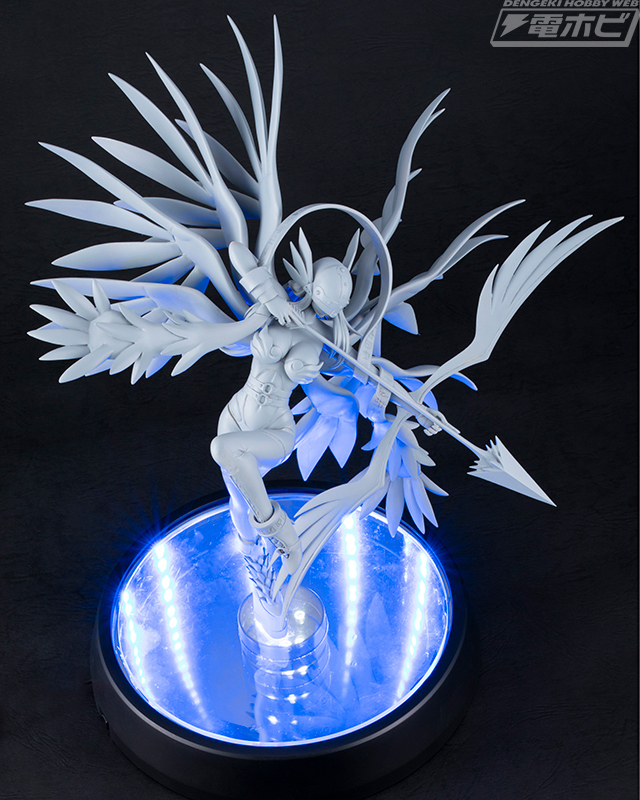 Angewomon is posed about to release Holy Arrow, her final attack. 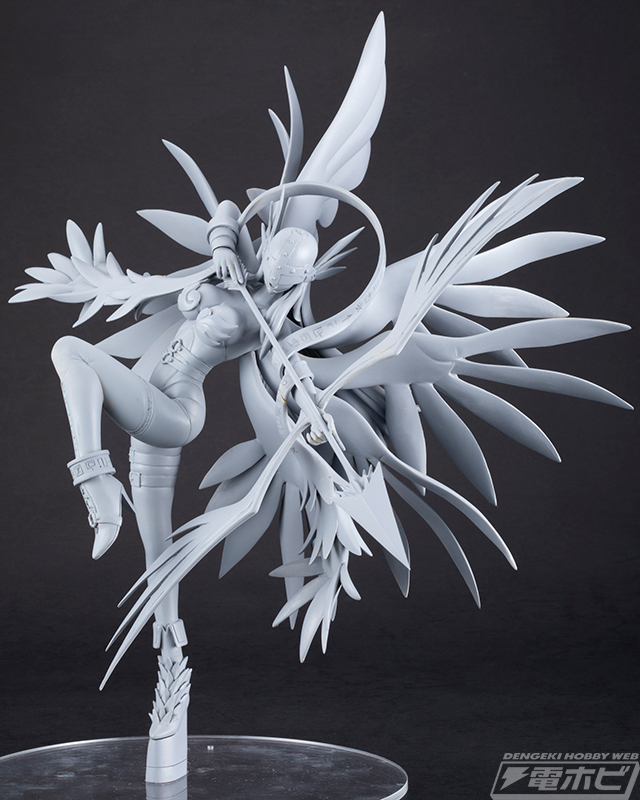 The pose also has her 8 angelic wings spread wide, giving the figure a dynamic three dimensional look. The figures left foot is raised, which they point out creates a beautiful pose in the way this makes the foot line stand out. They specifically point out that they believe the figure represents her 'supple feminine' proportions brilliantly. Her beautiful and dignified appearance represents her as a goddess well. They point out that if you look around the waist and other places they make the figure look more attractive by having the costume 'bite' slightly, giving the appearance of her outfit shifting slightly based on her pose. 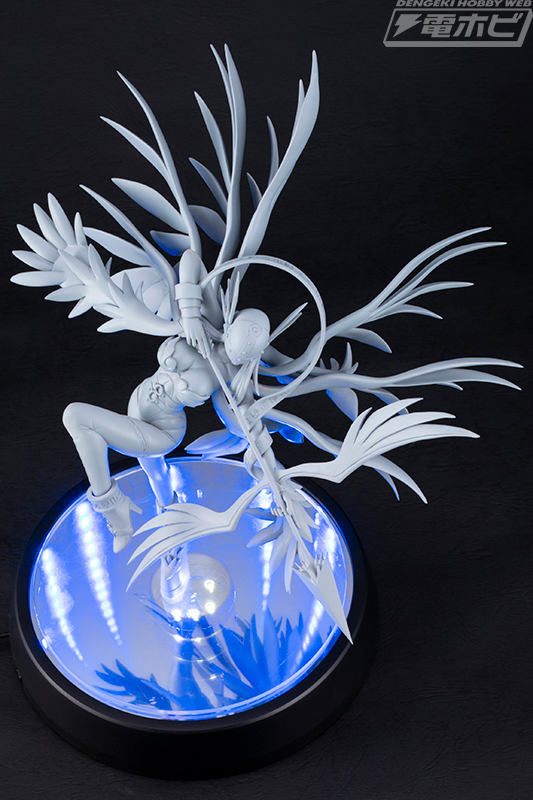 In addition, a pedestal with an LED light comes with it, making it possible to recreate the scene where Angewomon fires her holy arrow. Information and images of color samples of the figure, including release date and price will be announced soon. Angewomon Holy Arrow Version is scheduled for Winter 2018. Thanks to Dengeki Hobby Web for the images and info. Prior info on this figure can be found here. This figure better not get banned from the USA. Wow. This is nice. I do wonder if it'll come here. And yeah, some of the OP stuff. ...Wow.